Swiss Doodles are a mix between a tri-color mini Bernedoodle and a Tri-color Aussiedoodle. We love Bernedoodles because of their beautiful color markings, hypoallergenic coat, and laid back temperament. 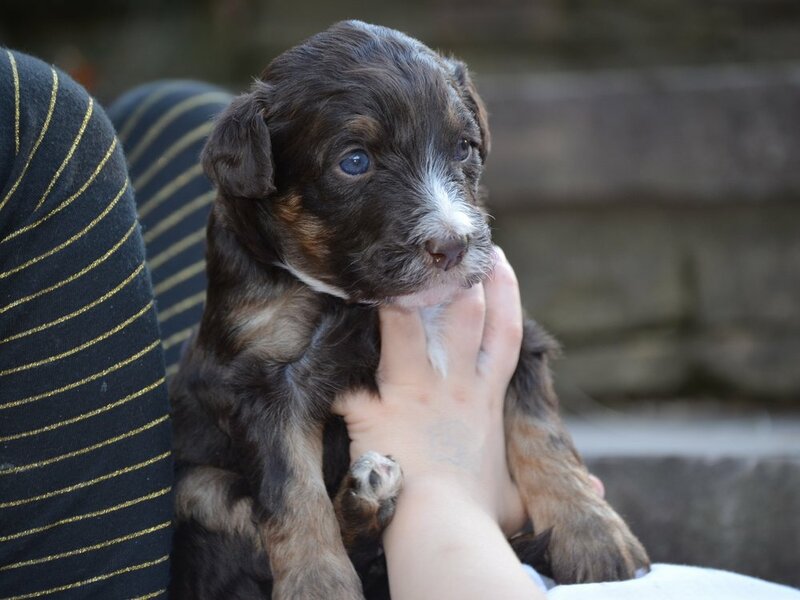 Swiss Doodles are a mix between a tri-color mini Bernedoodle and a tri-color Aussiedoodle. People love Bernedoodles for their beautiful tri-color markings, hypoallergenic coat, and laid back temperament. Other families adore Aussiedoodles for their smaller size, incredible intelligence, great train-ability, and excellent health. 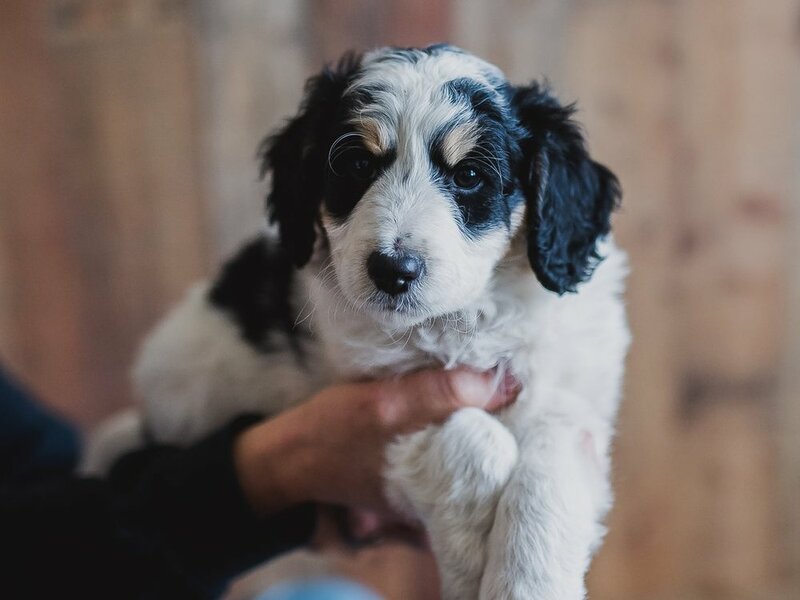 Our goal is to end up with a calm pup that have more striking color patterns (including a lot of white), be healthier (additional hybrid vigor), and easier to train because of the Aussiedoodle intelligence. We recognize that our pricing is about half the typical pricing of a mini Bernedoodle; which is what our pups look like. As the breed becomes better established we reserve the right to significantly increase our pricing for future litters. WANT TO FIND OUT MORE ABOUT SWISS DOODLES?